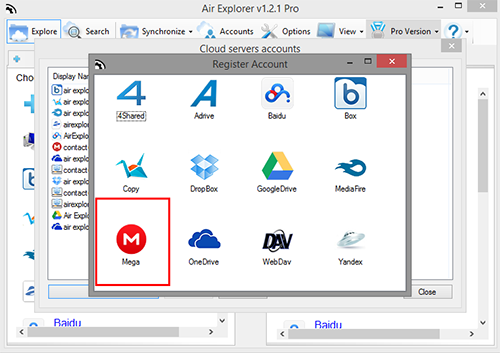 Mega is a cloud storage and file hosting service included in Air Explorer. This cloud has outstanding features that you can take advantage of them using Air Explorer. The most important feature is that Mega offers you 50 GB of storage space for free. 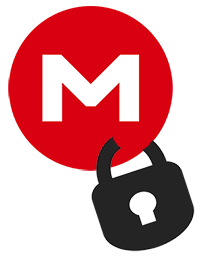 With Mega, all files are encrypted locally before they are uploaded so your files will be more safe. Remember that when you start Air Explorer, your Mega account loads slow because Air Explorer has to read all the files, but this allow you to browser the files faster.